Your investment in machinery is large. You count on your equipment to last. 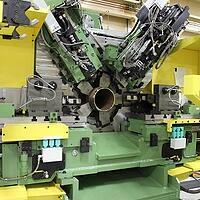 And today, as machine tool technology continues to advance, the need for durable quality remains the same. Since 1891, Bardons & Oliver has designed and built quality lathes and set industry standards for reliability, dependability and rugged performance. 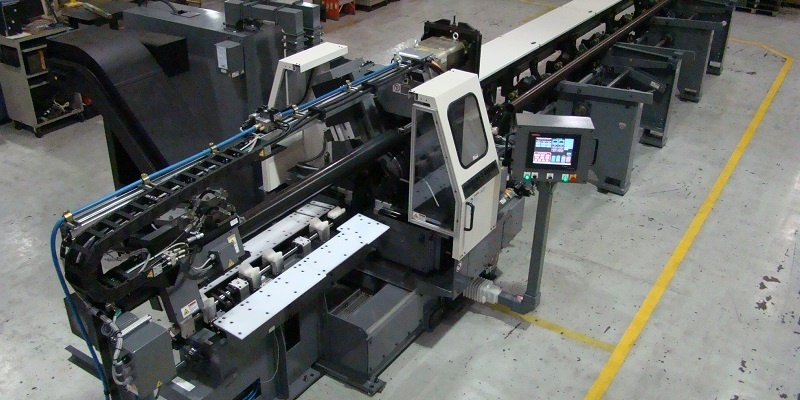 Our machines are heavier and offer greater flexibility in automatic part loading, unloading and tooling than any other cutoff machines on the market today. They are USA built. We create custom engineered solutions for your unique applications—and our skilled employee-owners are dedicated to total customer satisfaction. We’ve designed special machine configurations, including two machines arranged face-to-face for machining of boiler tubes—to a single machine designed to cut off, burnish and face motor housings. Each application required unique part machining and handling. 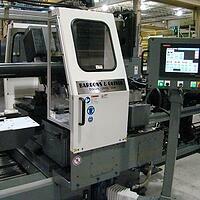 Since 1920, Bardons & Oliver has engineered and built work rotating cutoff lathes for pipe and tube mills worldwide. Our collet capacities through the spindle range from 8" to 24". Special attachments allow cutoff and end-finishing in one operation to fulfill all the production requirements for the manufacture of line pipe, casing, tubing and couplings. Known for our heavy bases, rugged machine construction and durable material handling, a Bardons & Oliver cutoff system assures you years of dependable service even in the most severe and demanding operating conditions. Fast forward to today, and our innovative engineering and close attention to quality have kept pace with the pipe and tube industry’s need for efficiency and throughput. Servo-controlled tool adjustment and chucks with range adjustment and automatic tool change show that Bardons & Oliver has unparalleled expertise in the design, manufacture and operation of rotating cutoff equipment. Bardons & Oliver builds solutions to last a lifetime. Our history, experience, knowledge and innovation have kept us out in front for more than a century.